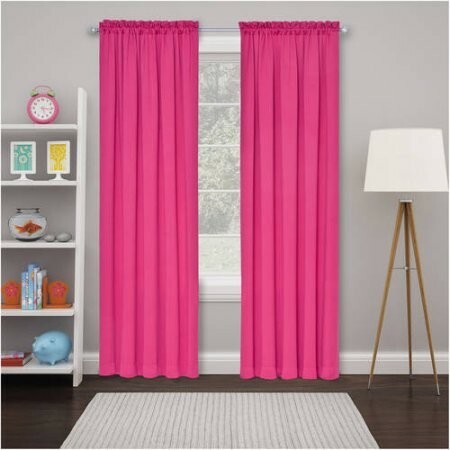 Eclipse Thermal Blackout Tricia Window Curtain Panel Pair, Pink, 26" x 84"
Designed to block 99% of intrusive light, these Eclipse Tricia Curtain Panels will help you effectively manage lighting ambiance while enhancing your decorative scheme! Constructed with durable polyester, this pair features a classic rod pocket design. 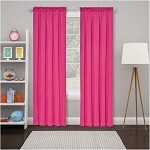 These panels are also machine washable!